Help us protect Hawaii's precious resources from mauka to makai! Wildfire LOOKOUT! is a continuing campaign to keep people across the state informed of current fire and drought conditions, provide tips on protecting life and property from wildfires, and to provide information and education on how to deal with prolonged drought. More than three dozen federal, state and county government agencies and supporting organizations are a part of the effort. Get ready for Wildfire Community Preparedness Day, Saturday, May 4! Looking for project ideas? Click the button below. Make sure to share your prep day activities on social media using #WildfireReadyHI ! Hawaii has a wildfire problem. Each year, about 0.5% of Hawaii's total land area burns each year, equal to or greater than the proportion burned of any other US state. Over 98% of wildfires are human caused. Human ignitions coupled with an increasing amount of nonnative, fire-prone grasses and shrubs and a warming, drying climate have greatly increased the wildfire problem. Hawaii's communities and resources are at risk. 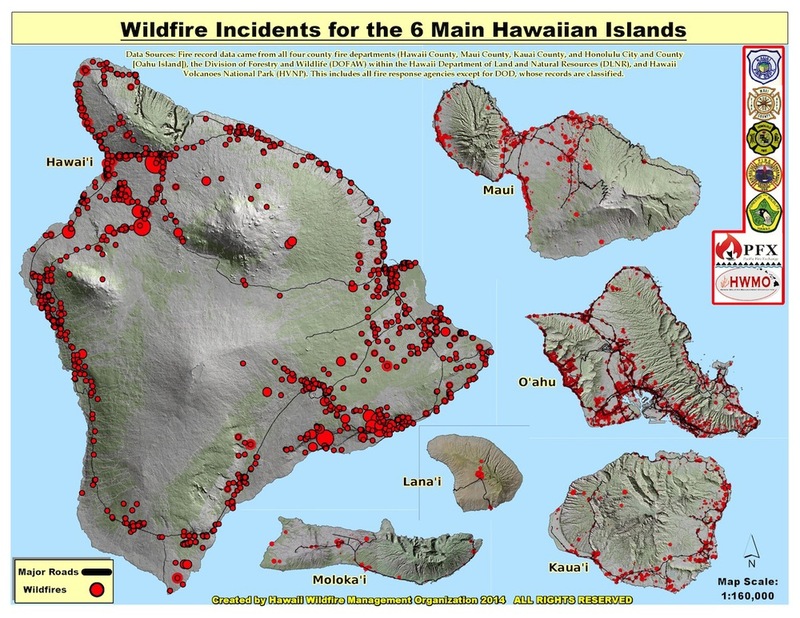 Wildfires are a mauka to makai issue, affecting everything from human safety, infrastructure, drinking water, agricultural production, cultural resources, native forests, watersheds, and coral reefs. We are working with you to protect our ʻāina. Through our extensive partnerships and grassroots efforts, we are making our way towards reducing the number of wildfires and significantly reducing the wildfire risk for communities and precious natural resources throughout the State of Hawaii. There's no better way to get to know our organization than interacting with us face-to-face. The next best thing: watching us in action on YouTube! In 2016, Maui had its worst wildfire season in many years. With barely any vegetation left in the burned areas to hold down silty soils, a mid-September storm rained down on the burned lands and carried trash and debris through our watersheds and out into the ocean. Share this video with your friends, 'ohana, coworkers and everyone else you know who cares about our oceans. Dealing with wildfires in Hawaii takes a collective effort. Thankfully there are proactive and passionate people like you who want to help. Here are some great ways to take action! Wildfires are a frequent and significant hazard across Hawaii. Help do you part by preventing wildfire and taking steps to prepare your home, family, and community from wildfire! Find out about the many other ways that you can help! Submit a photo of you and/or your family, friends, or neighbors reducing the wildfire risk in, on, and around your home. We will post our favorite right here on this homepage for a month. Please make sure the file is no larger than 1MB to avoid any technical troubles. Also, provide a short one-sentence caption describing the photo. 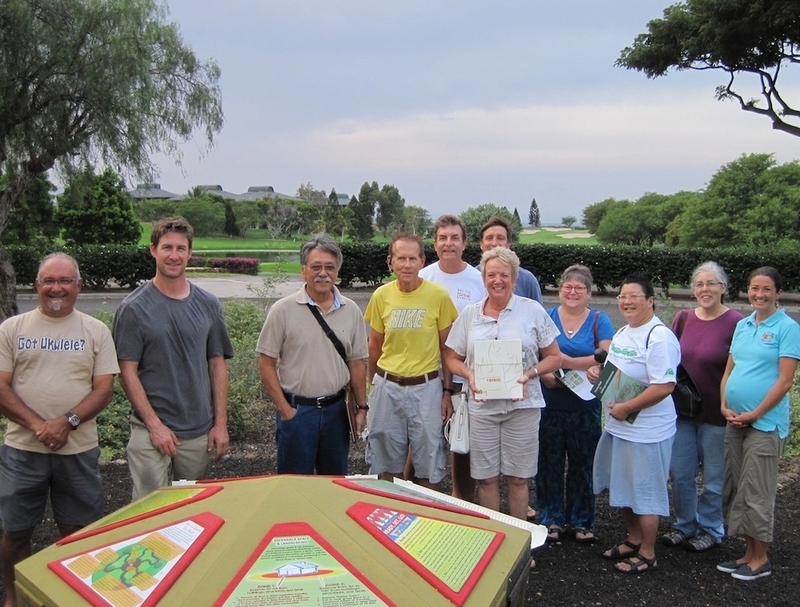 Apply for a Wildfire Community Preparedness Day Grant by March 1! Fueling the Fire: Trump Thinks Logging Will Stop the Burning in California. It won't.